Project Isizwe says since its inception in 2013, its Tshwane free WiFi project has carried 5 157-terabytes of data. Project Isizwe claims it has saved the residents of Tshwane over R1 billion through its free WiFi project. In a statement, the group says since its inception in 2013, Tshwane free WiFi has carried 5 157-terabytes of data. The non-profit organisation says the average cost per megabyte for 3G mobile data is 25c, which would add up to over R1 billion if users were not using the free WiFi provided by the city. "The vast majority of Tshwi-Fi users live in low-income communities and use prepaid airtime for their mobile phones. Without free WiFi, users would be paying 25c/MB on average, which would have resulted in a staggering R1 351 876 608 total data cost," Project Isizwe says. Instead, the City of Tshwane spent only 6c/MB, saving over R1 billion in data costs. Championed by entrepreneur and HeroTel chairman Alan Knott-Craig Jnr, the free WiFi project offers Internet users a daily cap of 500MB and is completely funded by the City of Tshwane. 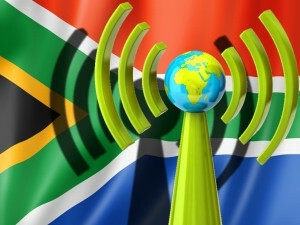 "This project is part of the city's vision to be one of the most connected cities on the African continent, and showcases its commitment to provide sustainable and equally-distributed access to the Internet to benefit all," Project Isizwe adds. Last month, the non-profit told ITWeb the City of Tshwane's initiative had spent R245 million excluding VAT for 1 050 free Internet zones ? which included capital outlay and three years of Internet access and operating expense. Now Project Isizwe says the total cost of data for Tshwane's free WiFi was R320 million.